Twice a month we scour the internet for the very best links to help you boost your real estate career. We strive to find links that inform, educate and delight. Here’s what we have for you in the latest edition. Drones help you tell the story of your property more creatively. Drones help real estate developers build safer and more efficiently. 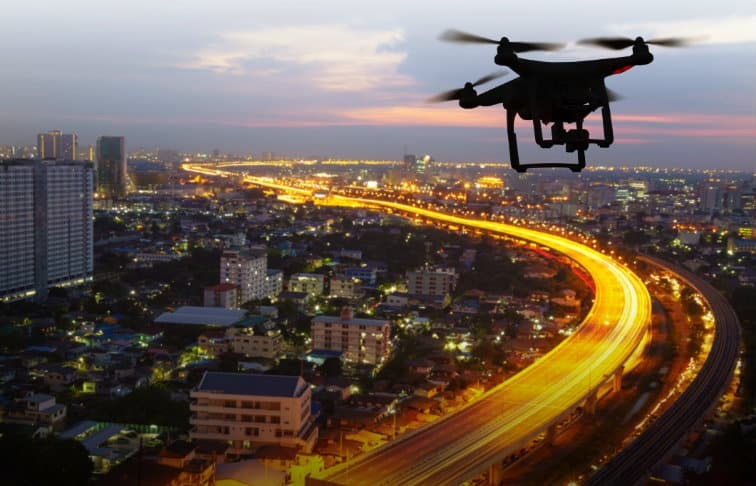 The way developers think about infrastructure will change as drones become more common in our daily lives. Drones can perform dangerous services related to building upkeep that were previously costly. What do you think? Are drones taking over? Usually, in this space we recommend a short YouTube video you can easily squeeze into your day. This time around we’re going in a different direction and suggesting a show to binge watch on Netflix. Hey, the holidays are coming up and if you’re planning to take any time off why not devote some of that to binge watching? Every episode of this show takes you on a tour of, well, the world’s most extraordinary homes. It’s inspiring and could be just what you need to head into the new year ready for business. GSD Mode podcast provides actionable advice on how to reach your real estate dreams by digging into the habits of business leaders across industries. The podcast website has videos, audio and interviews archived back to 2015, so you’re not going to run out of material for a while. If you want a very in-your-face, venture capitalist style voice in your newsfeed (hey, it inspires some people!) we recommend Grant Cardone. He focuses on teaching investors and helping people make more money in real estate. His advice runs the gauntlet from helping you create better teams, to his tips on closing, to strategies that create wealth. Christmas doesn’t have to be a slow time of year! Even though people traditionally assume real estate will slow down around Christmas, there are also buyers who are looking at this time of year anticipating a good deal. Not to mention that moving over school holidays is preferable to many parents, and moving before the start of Q1 is something many employees do if they’re being transferred. Moral of the story is: don’t give up over the holidays! Think about how you can reach buyers within your niche who may be looking to make a purchase decision now.